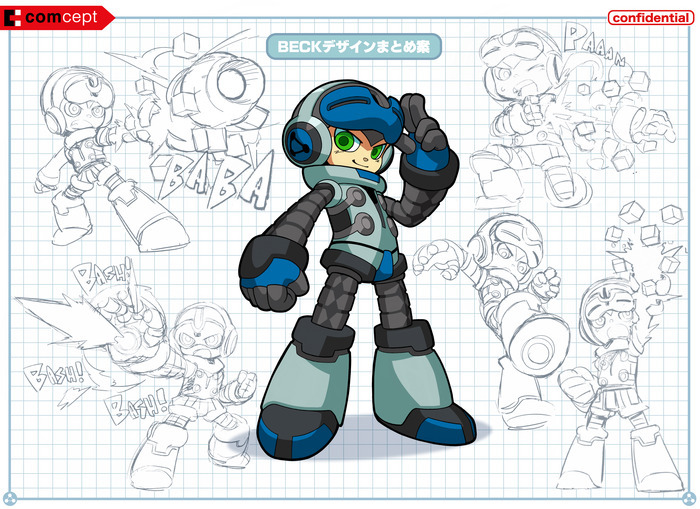 More proof in which Mega Man is "Mega Dead." 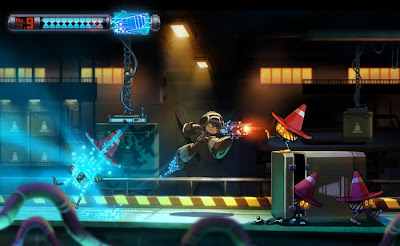 As a fan of Mega Man, I have to say I am just as angry as most fans of the Blue Bomber who feel in which Capcom has completely abandoned a gaming icon in favor of "survival-horror" and non-stop updates to popular arcade-style fighting games. Fans have been begging and pleading with Capcom to revive Mega Man and bring him back to his former glory. Apart from licensing the character to appear in Nintendo's upcoming entry in the Super Smash Brothers franchise, they have no intention in doing so. With this in mind, I give you Mighty No. 9! 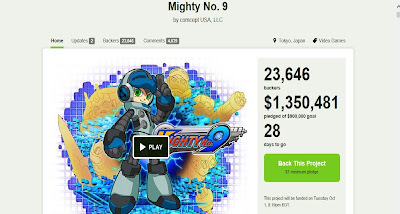 The announcement of this game was made by Keiji Inafune during PAX this weekend and the Kickstarter page is currently active. According to Kickstarter, "You play as Beck, the 9th in a line of powerful robots, and the only one not infected by a mysterious computer virus that has caused mechanized creatures the world over to go berserk. Run, jump, blast, and transform your way through six stages (or more, via stretch goals). You can tackle in any order you choose, using weapons and abilities stolen from your enemies to take down your fellow Mighty Number robots and confront the final evil that threatens the planet!" Inafune and his team at Comcept (see what they did there?) are asking for $900,000 for a PC release and the game is slated to come out Spring of 2015. Of course, what is a Kickstarter campaign without stretch goals? If they raise $1.35 million, the game will be ported to Mac and Linux. 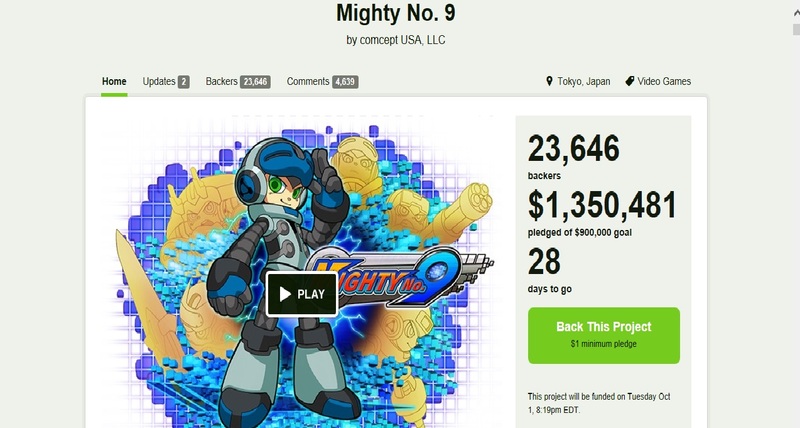 However, if they receive $2.5 million in pledges, then the game will be ported to PS3, Xbox 360 and Wii U. Pledges will be accepted until Oct. 1. What do you say, kids? Can we do it?! UPDATE: As of Sept. 2, 11:18 a.m. Eastern Time, No. 9 has been fully funded. 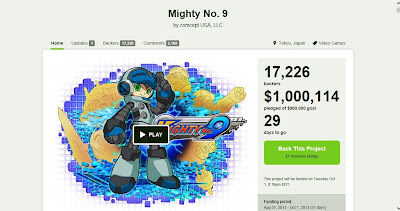 In less than forty-eight hours from the announcement from PAX this past weekend, the Mega Man spiritual successor has reached its goal for a Spring 2015 release on PC and is still climbing. 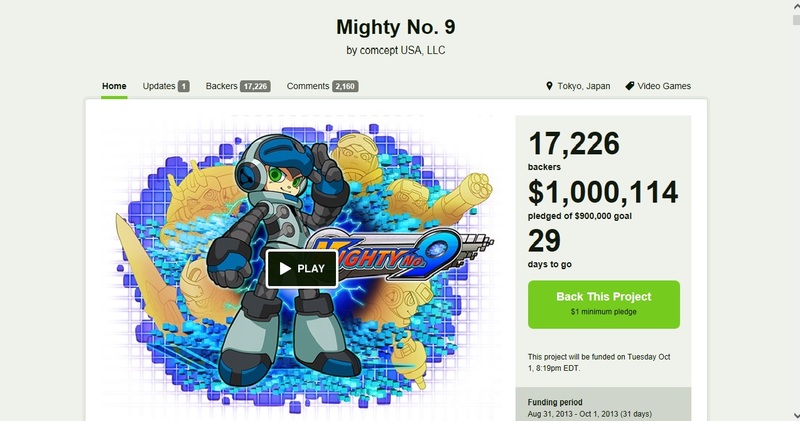 UPDATE 2: As of 3:30 p.m. Eastern Time, the Kickstarter reached just over $1,000,000. The story will constantly have updates as they develop. UPDATE 3: As of Sept. 3 at 5:42 p.m. Eastern Time, Mac and Linux users will have an opportunity to play the game. With just over $1 million to go which would make No. 9 available to consoles, the pledges are coming in quickly. 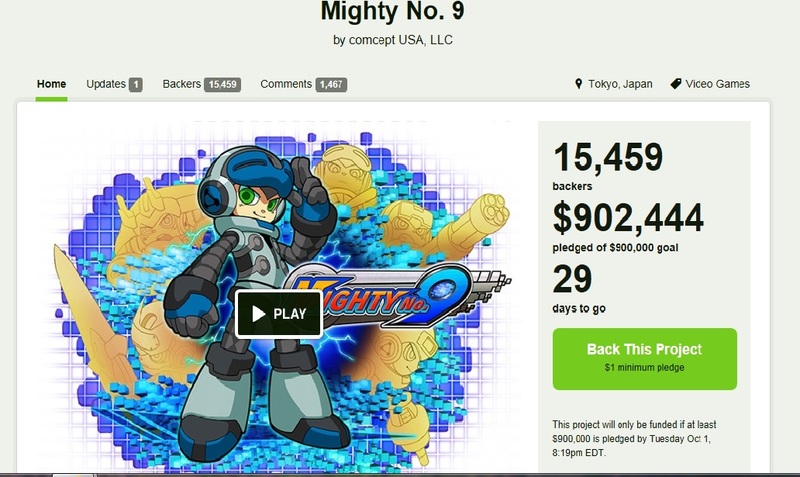 UPDAATE 4: According to a recent article on Joystiq, Inafune has dropped the stretch goals by $300,000. With this said, it appears it will be a little easier for No. 9 to reach consoles quicker.